The Canon EOS 400D / Rebel XTi digital SLR is the successor to the best-selling EOS 350D / Rebel XT. Announced in August 2006, it combines a number of anticipated improvements along with a few genuine surprises. 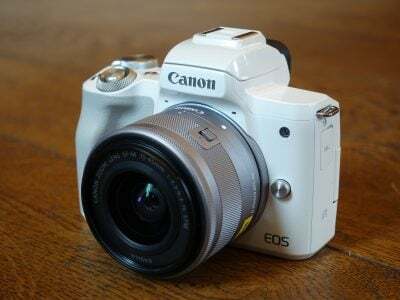 Most people won’t be surprised to learn the 400D / XTi now features a larger 2.5in screen and Canon’s Picture Styles, but following the earlier EOS 30D, many equally expected the new entry-level body to employ the same sensor as its predecessor. But instead of re-using the 350D / XT’s 8 Megapixel sensor, Canon’s developed a brand new 10.1 Megapixel CMOS sensor for the 400D / XTi. This makes it Canon’s highest resolution digital SLR with an EF-S lens mount to date. In addition the EOS 400D / Rebel XTi is the first Canon digital SLR to feature a self-cleaning sensor which shakes off dust particles. Reference frames can also be tagged to images for automatic removal of more stubborn dust particles later using supplied software. 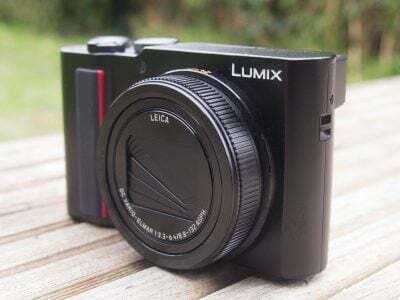 These features make the 400D / XTi a more significant upgrade than many expected, and also places Canon’s entry-level digital SLR above its own higher-end EOS 30D, in terms of resolution and dust-elimination anyway. It’s even inherited the 30D’s nine-point AF system. In this full review of a final production EOS 400D / Rebel XTi we’ll put these improvements to the test and also see how the new model performs against its predecessor and the Sony Alpha A100. Both the Sony A100 and the forthcoming Nikon D80 share the same 10 Megapixel resolution, while the Sony additionally boasts anti-dust and anti-shake capabilities. The new Canon certainly has a lot to offer, but is it sufficient to beat increasingly tough competition? Find out in our full review. NEW: For an overview of the camera’s headline features, check our EOS 400D / Rebel XTi video tour. NEW: to see how the new EOS 450D / Rebel XSi measures-up against its predecessor and key rivals, check out our Canon EOS 450D / XSi feature comparison article. You may be surprised by the prices of some entry-level rivals. Note: the model tested was a final production model running firmware version 1.0.4. Following our convention of using default factory and best quality JPEG settings to test camera bodies unless otherwise stated, the EOS 400D / Rebel XTi was set to Large Fine JPEG mode, sRGB colour space, Auto White Balance, Evaluative Metering and its Standard Picture Style.